If you’re using a work computer or laptop and you’d like to make sure that you don’t leave unwanted temporary files behind, CCleaner is an efficient way to clean them up. But, if you use more than one account on said computer it can be a pain re-running the program for each one – not to mention it is easy to forget. With a little registry tweaking and a run parameter we can make the cleaning process automated at login, so you won’t have to worry about it ever again! Click the Start Menu Orb and Type regedit into the search box. 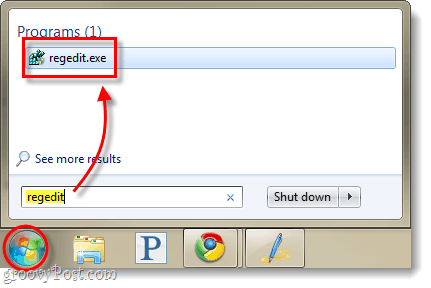 Press Enter, or Click the regedit program link. 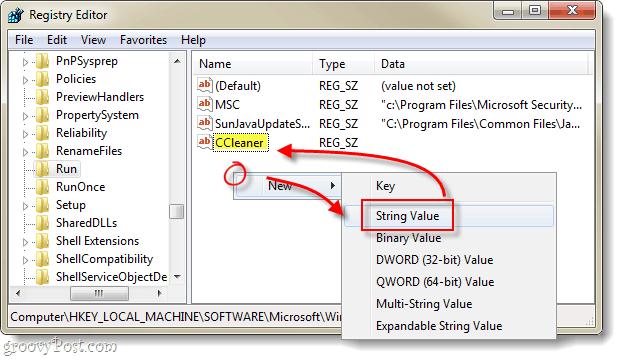 Once you’ve Selected the Run key, Right-Click anywhere in the right-pane and Select New > String Value. 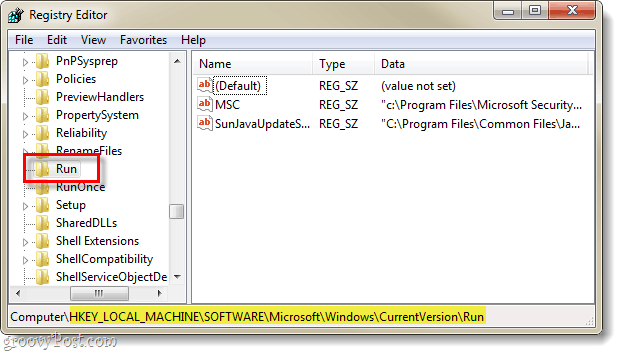 *If you are using 64-bit Windows you the directory will need to include “Program Files (x86)” in the place of Program Files. 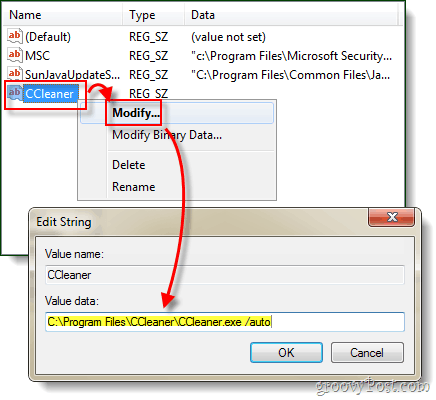 Now whenever any user account is logging into the computer, CCleaner will automatically start and clean everything out according to its options. Personally this is really useful for me as I have multiple test accounts on my desktops for reviewing different software applications. I rarely remember to clear out the temp files for each account, so I end up with tons of wasted space –but not since any longer!